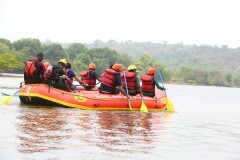 This adventure trip combines rafting on the Kundalika River with adventure activities at a scenic campsite. 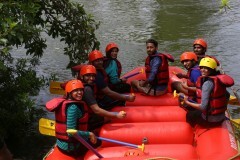 You'll begin the day by hopping on to inflatable rafts and engaging the rapids of the Kundalika River for over 2 hours. With paddles in hand, you’ll navigate your way over tall waves and steep drops. 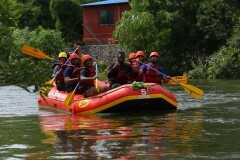 After a thrilling session of rafting, you can try your hand at archery and do an ATV ride. This trip also includes a delicious Maharashtrian lunch at the campsite. 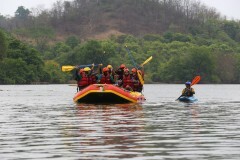 The Kundalika river weaves in and out of countryside hills, making it one of the best places for rafting in Maharashtra. After rafting, you'll have lunch and spend the afternoon at a scenic campsite, doing an ATV ride and trying archery. • Try your hand at archery and go on an ATV ride. 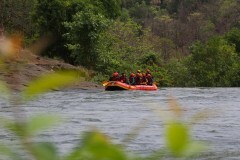 Arrive at the campsite by early morning and head out for a session of rafting on the Kundalika. 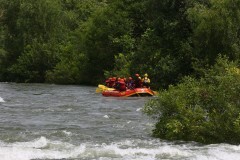 You'll spend two hours on the river, battling the rapids and enjoying the views and the splashes. Admire views of lofty mountains that surround the river and reach the rafting end point. Travel back to the campsite where you'll have a delicious lunch. You can spend the rest of your afternoon trying your hand at archery and doing one ATV ride. You'll check-out of the campsite by 15:00 hrs. Make sure you're punctual in arriving at the rafting start point by 07:45 hrs. 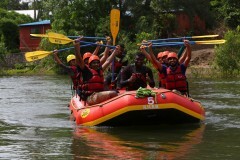 Carry an extra set of dry clothes to wear after rafting. 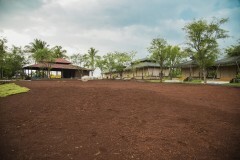 After rafting, you'll have access to the common shower/changing rooms. You'll eat lunch after that. You'll try out the ATV ride and archery, and then by 15:00 hrs, it's time to check out. Kolad is accessible via road from nearby cities of Mumbai and Pune.